The following Code of Conduct has been disseminated across operators in Bali and its aim is allowing divers to witness these amazing creatures without interfering in or disturbing their natural behavior. Here at World Diving Lembongan we follow these simple steps to ensure that our divers have AMAZING encounters! If manta rays or mola are just entering a cleaning station do not approach until the cleaning has begun and the fish have been stationary for at least 1 minute – once the cleaning begins the fish will relax and are less likely to be startled. Do not get too close – stay at least 3 – 5 meters from manta rays and mola. If manta rays and mola are swimming or approaching a cleaning station stay at least 10 meters away to give them chance to settle. Do not touch manta rays or mola – their skins’ surface is covered by a mucus membrane to protect against infection – touching the fish removes parts of the membrane. 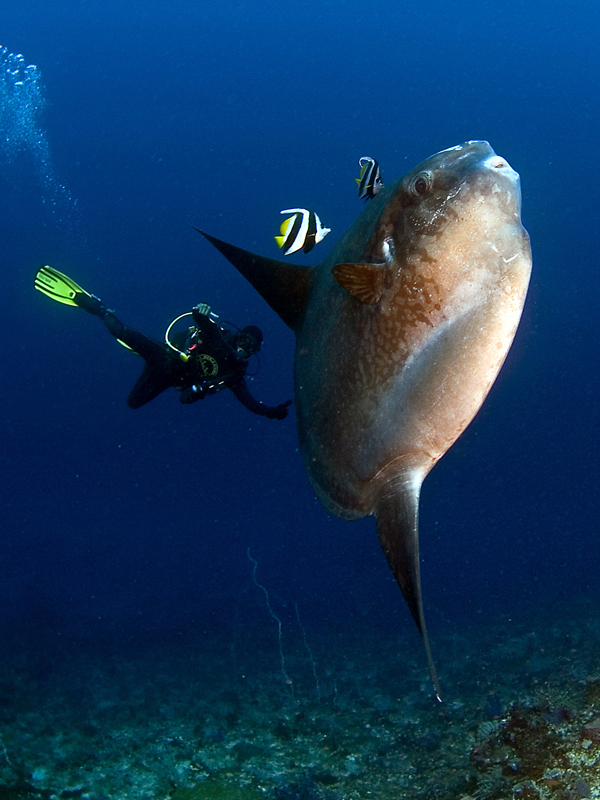 Do not swim under or behind mola as this startles them. Do not block a manta or mola’s exit from a cleaning station – never crowd either fish – they will become startled and flee. 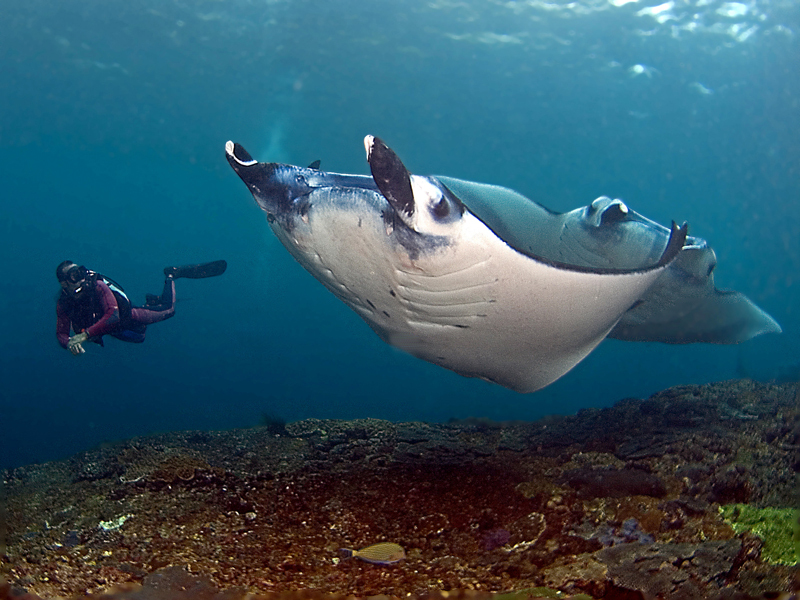 If manta rays are cleaning remain passive and observe them from the bottom of the cleaning station – do not swim to the top of it. If a manta ray or mola approaches you remain still and calm – jerky movements will startle the fish. Neither mola nor manta rays are harmful. Do not use flash photography as this disturbs the fish. Do not use personal underwater motorized propulsion vehicles or make loud noises. Be courteous to other divers and restrict your interaction time to 5 minutes when other groups are present. Dive with companies who follow the Code of Conduct and always follow your dive guides directions. The majority of diving around Nusa Penida (and in many parts of Indonesia) is drift diving and the currents can vary from almost nothing to drifts where divers cover 2km of shore line in just 40 minutes! Whilst some divers love the exhilarating thrill of ‘flying’ along the reef others find it a daunting and nerve racking experience, however, there are some general guidelines which can help making diving in currents both safer and more enjoyable. – Follow the directions of your guide and only enter the water when instructed to do so. 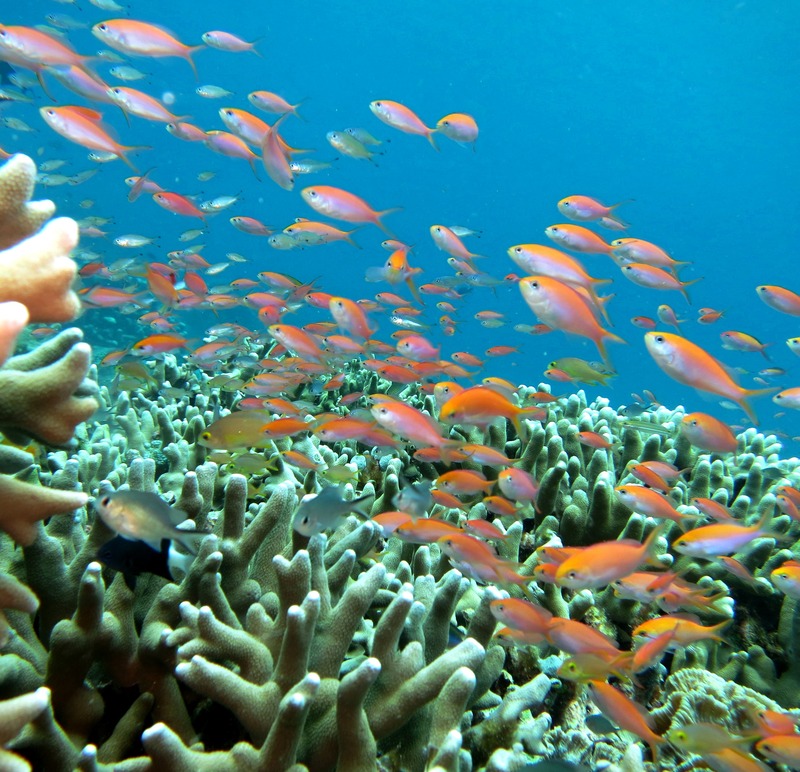 – Stay close to the reef or the bottom as currents here will be weaker. During the dive stay behind your guide. – Secure all dangling equipment. – Control your buoyancy and let the current move you along. 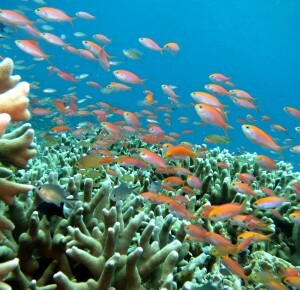 – Use reef formations as shelter if you want to take a breather. – Do not fight the current – it is easy to become overexerted. – Carry a delayed surface marker buoy (DSMB) and make sure you are familiar with how to inflate it. – If you become separated from your group look around for one minute – if you don’t find them, go up and you should be re-united on the surface. – If you cannot see your boat upon surfacing or if you have any doubt about whether your boat has seen you do NOT wait in strong surface currents – swim across the current, towards the shore if possible. Tidal currents vary according to the time of the tide because the vertical rise and fall of the tides also creates a horizontal movement of water moving either from the open ocean in towards shore on a rising tide or from the shoreline to the open ocean on a falling tide. There are also periods (at high tide or low tide) when the horizontal movement of water is minimal or non-existent and this is termed ‘slack high’ or ‘slack low’. As a general rule, diving on slack high is preferable as visibility is usually much better. On days when there is a large tidal range (such as close to new moon or full moon) currents can be expected to be faster as there is a greater horizontal movement of water. When there is only a minimal range (neap tides), currents are least ferocious – neap tides occur twice a month in the first and third quarter of the moon. Time your dives with the tides, remember the general guidelines and go with the flow!